Tired of endless Prospecting without Results? Hundreds of thousands of people try and fail at sales every year. Ever wonder why? Some people are just born sales professionals. Most have to learn the trade and work hard every day learning new techniques. With today’s social media, there’s plenty of material to choose from when looking to expand your knowledge and understand what has made others successful. Here’s my 2 cents for this week…..
I’m going to focus on #1…Prospecting. Prospecting is merely finding people or businesses to sell your product to. It involves deciding who is the proper contact and how to best engage them. In my 25+ years of sales, I’ve learned many techniques to open doors. Regardless of the methods you choose, one thing remains constant: You MUST develop and stick to a consistent outreach plan. Most sales take multiple contacts before a prospect will listen to your offer. I have had the best success in the last 5 years using a combination of electronic messaging (includes email, Twitter messages, Linkedin inmails, and videos) and the old fashioned phone call, spread out over a 2 week outreach period. My style has been electronic message of some type (your choice, email or Linkedin) on Day #1. Day #2 involves a live phone call, including leaving your name and general message (practice your pitch!) if you get voicemail. I often use Day #3 as on “off day” with no contact. Day #4 is another phone call, with no message if I get Voicemail. (Everyone has Caller ID so you get your message across without actually leaving one.) Day #5 ends the first week with a different form of electronic message. If you emailed the 1st time, try Linkedin the 2nd. During week 2, I will try the more "social media" style contacts. I have had great success using Twitter. Many professionals will not have their work email on their phones, but will get a notice if they receive a Twitter message. Twitter is an underused ace in the hole. Since it is so rarely used in business, people find it differentiates you from the crowd. It is my favorite technique. The next few days can be designed however you feel most comfortable, combining all the mentioned contact techniques in a pattern. Try mixing it up, and see what works best for you. After two weeks of attempts, I’ll put the prospect into a follow up stage, giving them a break for 2-3 weeks before starting another round of communications. It is not uncommon for me to go through 4-5 rounds of outreach before I am able to actually engage a prospect. Persistence pays in sales. That is a common trait in all successful sales professionals. There is no golden rule that guarantees a prospect will talk with you, but following a designed outreach plan can help increase the odds of engagement for you. What's Your Average Sales Cycle? 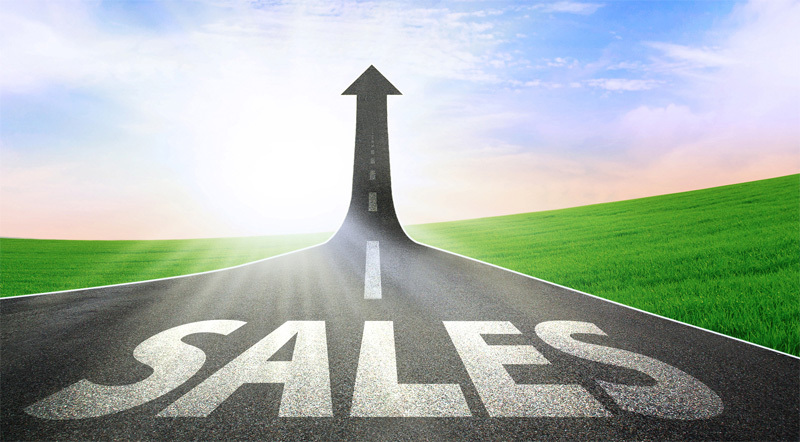 What’s your average Sales Cycle? 90 Days? 120 days? 180 Days? Longer? Really depends on your industry. In the telecommunications arena where I have spent my career, the transition to internet based voice and cloud based data has pushed us towards the 180 day mark. Accepting the fact that the sales cycle is this long is your first step to making the timeframe work for you. Once you have resigned yourself that the customer’s new service will take 6 months to get installed, the next question becomes “How do I get paid for my efforts?” Six months is a long time without a paycheck. We all know the sales manager pitch “Keep your funnel full and deals will close each month. Anything less is not enough activity”. I guess that’s partially true but in some sections of the telecom industry, there is far too much background work required for a sales professional to keep up the level of activity to have a large deal close every month. Working in the Channel, my focus has been on agent sales for the last 25 years. An agent often sells many products, offered by many different suppliers. Managing all the different offerings, timelines, quoting processes, order paperwork, etc. can be daunting. 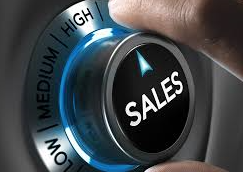 Independent sales agents work hard, leveraging personal relationships, business relationships, referrals, past job connections, industry peers, and other various prospecting techniques to find a new customer. Add in the face to face meeting with the prospect, the info gathering effort, design work across multiple suppliers, presentations, decision making time, contract review, provisioning, installation, cutover, and customer training, time is at a premium for the agents prospecting efforts. I know very few agents who can manage all of these needs well enough to close a large deal every month to sustain their income. So how do the successful agents keep consistent revenue growth coming into their agency? 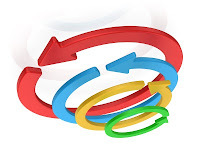 The #1 technique involves shortening the sales cycle and getting commissionable products on board immediately. I have developed a highly successful technique to provide a “Roadmap to New Technologies” and give the independent agent an opportunity to have commissionable services installed within 14 days, and commissions in the bank within 30 days. Using my company’s network services, we provide our agents the opportunity to turn a prospect into a revenue producing customer without interfering in the long term solution. In fact, we make the transition easier, providing a clean, electronic inventory on all current services, in one concise invoice, available on a state of the art web portal. All with $0 cost to convert, and no term or volume commitment to sign. When your new solution is ready to cut over, simply send me an email and let me know which services to disconnect. One of the key advantages we can give you is building credibility with your new customer. Rarely are you the only bidder on a project, but using my services allow you the opportunity to show a client what your agency is able to deliver, while others are talking solutions that won’t be installed for 6 months. You’ve cleaned up their inventory, consolidated their billing, and typically saved them some money while doing so. All without requiring a contract! My solution is delivered on a month to month basis. Best guess is you’ll be the only sales professional in the bidding with this advantage in your sales kit. And we'll pay you for it! This approach has allowed my agents to gain a 30% growth in commissions from my company over the last 12 months and it shows no sign of slowing down. I‘m happy to share more information on how you can take advantage of this technique and see more commissions flowing into your bank account within 30 days.